SpaceX CEO Elon Musk has taken the wraps off the Dragon V2 manned spacecraft that it’s designed to propel. 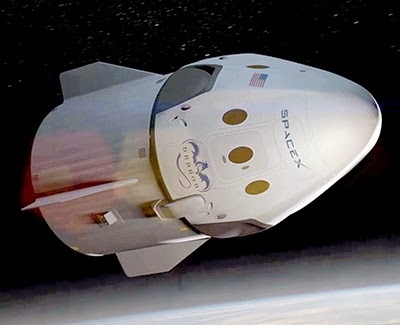 At a brief media event at SpaceX’s Hawthorne, California headquarters, Musk introduced the larger, more powerful version of the reusable Dragon capsule, which will one day carry up to seven astronauts to the International Space Station and return to Earth to land under its own power. The first unmanned version of the the SpaceX Dragon recently completed its third cargo mission to the ISS and has another scheduled in a few months time. Though the spacecraft has enjoyed considerable success, SpaceX has always seen it as an interim step toward the company’s goal of a fully reusable manned capsule capable of making a powered landing with the precision of a helicopter. The interior has a futuristic set of seats and a pilot seat with a touchscreen control panel. Only the joystick is analog and only critical emergency systems have manual buttons. According to Musk, the capsule has a much more sophisticated piloting system, so it can dock with the space station autonomously or under the control of a pilot instead of relying on one of the ISS’s robotic arms. For returning to Earth, the Dragon V2 has the third version of the PICA-X heatshield, which is SpaceX’s improvement on NASA’s Phenolic Impregnated Carbon Ablator (PICA) heat shield. This shield protects the capsule during reentry and because it ablates less than previous versions, Dragon V2 can carry out more flights before needing a refit. The capsule has eight SuperDraco engines, which are 200 times more powerful than the Draco engines used on the current Dragon. Putting out 16,400lb of thrust each, the SuperDraco engines will allow the new Dragon to return to its spaceport and make a powered landing. 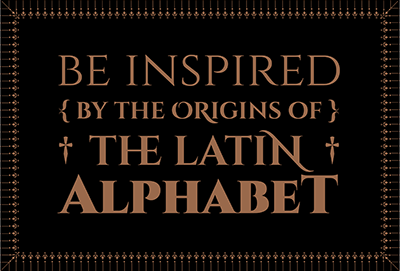 Cinzel is a typeface inspired by first century Roman inscriptions and based on classical proportions. 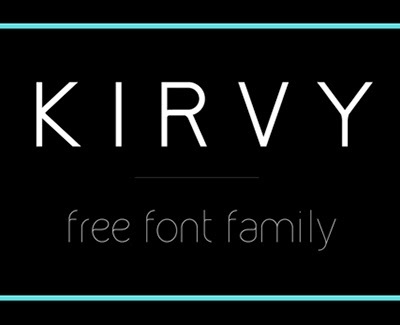 It is available in 3 weights, in regular and decorative versions. 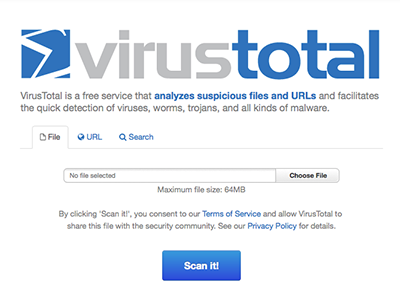 VirusTotal is a free online service that analyses files and URLs for quick detection of viruses, worms, trojans, and all kinds of malware. The Viora Lid from Vaporpath promises a lid that not only reduces the likelihood of spills but provides an experience closer to sipping from a ceramic mug. For the lid's inventor, Doug Fleming, Viora is the result of 20 years of innovating in the beverage-container space. "The current lid is the result of dozens of iterations on almost every aspect of the design," Fleming says. "What began as a quest to unlock the aroma inside the cup, and the air flow of the volatile vapours, evolved into a study of the fluid-flow part of the problem." Looking to unleash the aroma of the coffee within, the inventor enlarged the mouth hole of the lid and moved it away from the cup's rim, creating an effect similar to that of a ceramic mug. When the cup is tipped, a pool of coffee collects in a well right under the drinker's nose, giving them a fuller sensory experience. 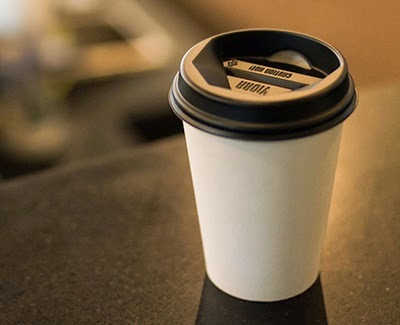 Fleming switched out the typical homogenous round recess found in to-go lids with an angled ravine that serves a secondary purpose: keeping your shirt coffee-free by catching splashed liquid and reducing spillage, directing it back into the cup. The design problems involved in mounting an adequately powerful motor and its battery onto a slim slab of wood are not easily solved. 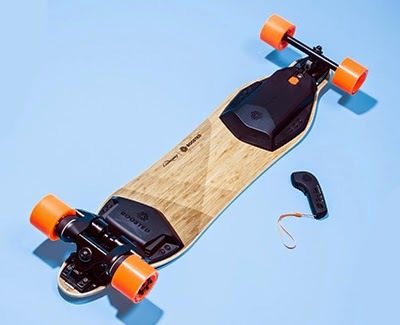 It took the crew at Boosted Boards several years of experimentation with a series of decreasingly dangerous prototypes to get this particular board rolling. Twin brushless motors sit at the back, where they spin the rear wheels by means of dual carbon belts — the same kind used in motorcycles and e-bikes. The motors get their juice from a 40-volt lithium ion phosphate battery mounted beneath the front of the board just behind the front trucks. The battery at front is connected to the motor in the back by means of a flat cable that runs the length of the bamboo deck. Speed is controlled with a hand-held remote. It has a dead-man trigger under your index finger and a back-to-front, spring-loaded throttle rocker under your thumb. Push the throttle forward to go. Push backwards to slow down and stop. Another neat detail: When you’re slowing down, the motor regeneratively charges the battery. It’ll carry at least 250 pounds. I weigh 240, and I felt like the acceleration was pretty good. I had no problems going up and down modest hills. It’s the deceleration that really takes some getting used to — bend your knees and lower your centre of gravity before engaging the reverse drive. Top speed is governed at 20 mph. The range is roughly six miles, depending on hills. Of course, you can always just push it like a regular longboard, so you can’t get stranded when the motor runs out. 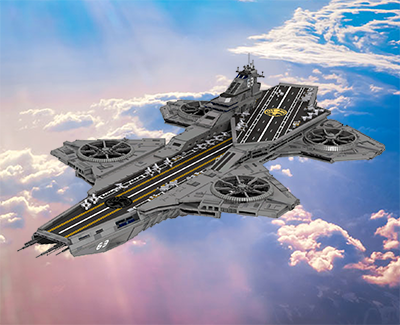 Based upon two dimensional pictures, I measured the proportions of the helicarrier as accurately as I could. The total span of the ship is about 217 x 115 cm, and a total of 22,694 bricks were used. When Israeli farmer Gilad Wolf broke his pelvis in 2008, he became determined to turn his wheelchair into a workhorse. After suffering the pain that came from traversing the bumpy rows of his field in a stock chair he began developing new designs better suited to off-road applications. He experimented with solutions based on farm equipment and ultimately took his concepts to the Rad-BioMed Technology Accelerator in Tel Aviv where he got the help required to transform concept sketch into a patent-pending product called SoftWheel. 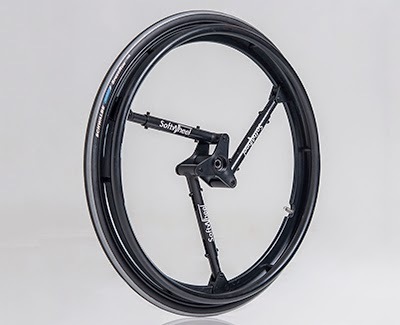 In traditional wheelchair designs up to 30 percent of expended energy is lost because they lack suspension, leaving only 70-80 percent of the energy put into the chair for propulsion. This creates uncomfortable rides and fatigued drivers. “Most of the time, the user is driving a rigid wheel with no suspension and it breaks your back and shakes your filings loose,” says SoftWheel CEO Daniel Barel. SoftWheel addresses this problem with their 'symmetric and selective technology' that uses three compression cylinders to absorb shocks within the wheel before they’re transferred to rider. The goal is to make the wheel’s hub essentially float in mid-air while suspending the chair’s mass. Practically this means riders can traverse stairs and curbs nearly as easily as gliding down a ramp by allowing the wheels to bear the brunt of the forces. 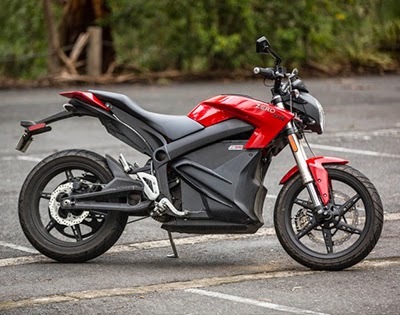 Gizmag has published an extensive (and ecstatic) review of Zero Motorcycles' latest leccy bike. "The Zero puts out just under 70 peak horsepower and a monstrous 106 ft-lbs of torque. That's about 10 percent more than the 1200cc EBR 1190RX, the current torque king of the superbike world. Its kerb weight is 205 kg. But the bike feels much, much smaller and lighter than that. A decent comparison in the petrol world might be something the size and handling feel of a nimble 250cc nakedbike, but with the power of a 600." "The performance and acceleration feel absolutely excessive in the way all the best bikes do. There's no clutch or gears, it's pure simplicity to ride, provided you can keep the slim rear tire from spinning up in the wet." "It dispatches traffic in the blink of an eye and hits 60 mph in a brutal 3.3 seconds. The power is abundant and predictable. There's no power band or sweet spot, there's just instant, whooshing acceleration on tap at all times." "There's almost no engine braking in sports mode, but you can dial that up through a Bluetooth-connected mobile app that lets you set peak power, top speed, regenerative braking and 'engine braking' parameters through your phone. 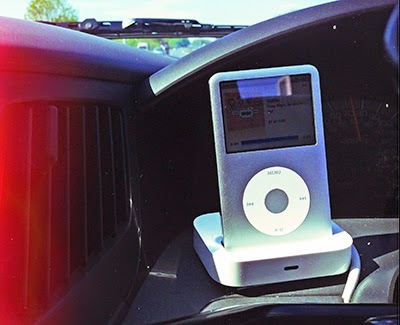 A display on the dash shows how much power and torque you're putting out when you're on the throttle, and how much you're pulling back in on the brakes." "The range is 135 miles if you ride it gently, and well over 60 miles if you're giving it an absolute gumboot full... where it's really going to shine is as a power commuter." "There is of course a downside. The SR retails for $17,000 or $19,500 with an extra 2.8 kWh 'power tank' battery stuck in the storage area you'd normally expect to put your petrol in. That means that in America the standard SR is about $10,000 more than, say, a Kawasaki Ninja 650." The RX100 III features the same 1", 20.2MP BSI CMOS sensor as the II, but gains the latest Bionz X processor, a pop-up electronic viewfinder and a faster lens. The zoom now extends across a 24-70mm equivalent range, with a maximum aperture of F1.8-2.8, a great improvement on the 28-100mm, F1.8-4.9 lenses sported by the existing two models. It includes Wi-Fi, can run Playmemories Camera Apps, and the rear LCD now flips up by up to 180° for selfies. Video has also been upgraded - including full-sensor readout 1080p stored at up to 50Mbps in the XAVC S format. 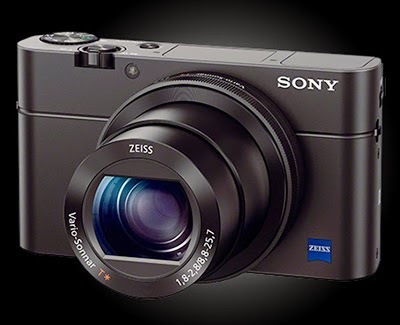 The RX100 III will be available in June at a cost of around $800. The data includes departure times and routes for buses, ferries, trains and trams in England, Scotland and Wales, supplied by Traveline - a partnership of Great Britain's transport operators and local authorities. In total, schedules from nearly 1,500 different transport operators have been integrated, including more than 17,000 different routes and more than 330,000 pick-up points. For billions of years, the history of life [on this planet] has been written with four letters — A, T, C and G, the labels given to the DNA subunits contained in all organisms. That alphabet has just grown longer, researchers announce, with the creation of a living cell that has two 'foreign' DNA building blocks in its genome. “What we have now is a living cell that literally stores increased genetic information,” says Floyd Romesberg, a chemical biologist at the Scripps Research Institute in La Jolla, California, who led the 15-year effort. 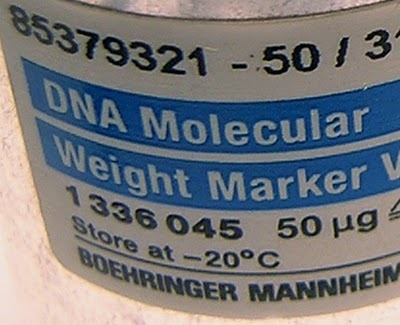 Romesberg’s group is working on getting foreign DNA to encode proteins that contain amino acids other than the 20 that together make up nearly all natural proteins. Amino acids are encoded by 'codons' of three DNA letters apiece, so the addition of just two foreign DNA 'letters' would vastly expand a cell’s ability to encode new amino acids. Potential uses of the technology include the incorporation of a toxic amino acid into a protein to ensure that it kills only cancer cells, and the development of glowing amino acids that could help scientists to track biological reactions under the microscope. 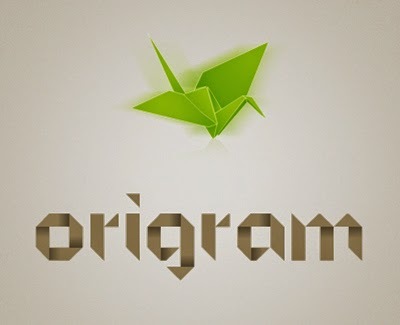 Origram was the first font I designed. Inspired by Origami and Tangrams, the basic shape is an octagon. The NX3000 boasts a powerful 20.3MP APS-C CMOS Sensor, fast 1/4000 shutter speed and 5fps continuous shooting. 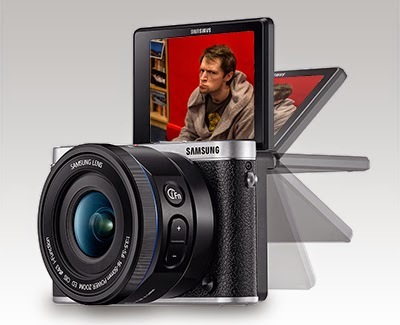 With a focus on selfies, the Samsung NX3000 features a 3 inch Flip-up Display with 'Wink Shot' (yes, really, Ed.). By opening the screen, framing a face in the display and winking, users can turn on the device and capture the perfect selfie. The NX3000 features Wi-Fi and NFC integration that makes it easy to share images. Tag & Go connectivity allows the NX3000 to pair with NFC-enabled devices, such as smartphones or tablets, simply by touching the two together. The NX3000 will be available in black, white or brown and will include Samsung’s new compact 16-50mm F3.5-5.6 Power Zoom ED OIS Lens. Users can control the camera’s zoom function from their mobile device via Remote Viewfinder Pro. 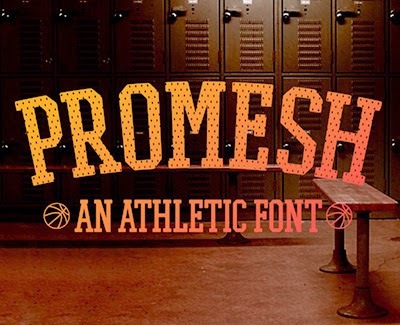 Quirky sans serif by Youssef Habchi, available in 4 weights from Behance. SpaceX’s latest reusable rocket test was a success — and a stunning one at that. 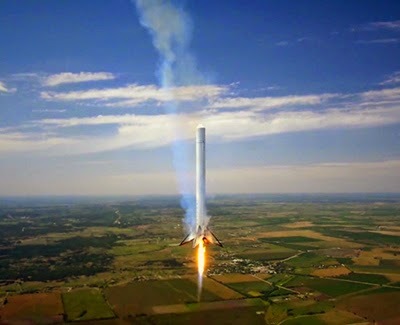 Elon Musk’s spacecraft company tested its Falcon 9 Reusable rocket, bringing it to an altitude of 3,280 feet (1,000 meters) before safely guiding it down to the Texas grasslands. Even better, SpaceX filmed the whole event for your viewing pleasure. SpaceX’s reusable rocket program seeks to develop technologies that can be reused many times for space travel, similar to how we use airplanes for commercial air travel. The company’s Falcon9R tests are ongoing following completion of its Grasshopper rocket program last year. Huawei took the No 3 spot in smartphones last year – pushing aside Sony, HTC and Nokia – but it’s still practically unheard of as a smartphone brand in the UK. 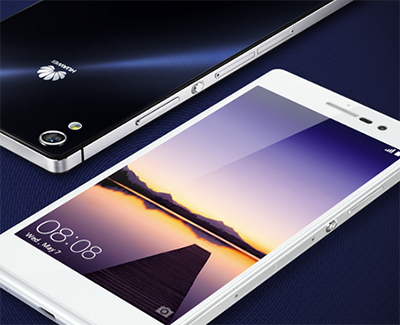 But that could change with the launch of its latest flagship model, the Ascend P7, unveiled today in Paris. The P7 manages to squeeze in LTE Cat4 (meaning up to 150Mbps download speed thanks to dual antennas) into a very well-designed, 6.5mm-thick 5-inch full HD phone, weighing just 123g. And with a before-taxes-and-subsidies price of €449, it undercuts rivals substantially. The P7 is extravagantly well-crafted and boasts a slim profile – it's 6.5mm thick – with a narrower bezel than the heavyweight rivals. The 4G handset uses Huawei’s own HiTech CPU – but leans on Sony for the primary camera module, and Altek for a customised discrete ISP that reduces noise and generally improves results in very low light conditions. The f/2.0 primary camera is complemented by an 8MP five-piece lens front camera – all the better to take your selfie. It can also stitch together several photos for a "panoramic selfie". This is how pressing First World Problems are solved. There is a dual SIM version – and when you’re not using the second SIM slot, it’ll take a MicroSD card. More likely to be used is the low power mode, squeezing one full day of standby, calls and texts from the final 10 per cent of a power cycle. The 2500mAh battery should last into a second day. 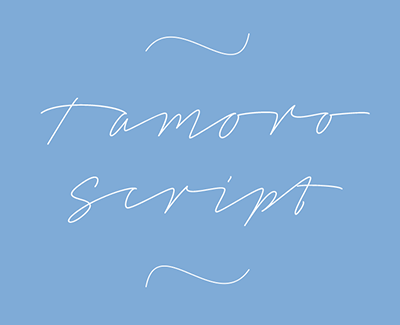 Fontspace has made this fineline script available, for personal use only. 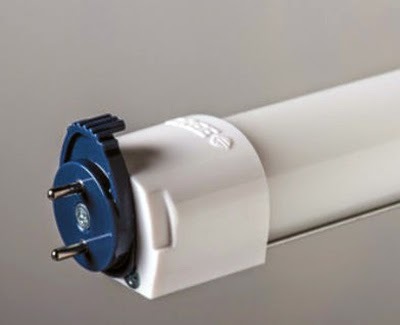 Cree has announced the release of a new type of tube light designed to tackle one of lighting's biggest energy hogs. The new Cree T8 bulb looks very much like the traditional T-8 fluorescent tube we've been using since the 1970s. Except, however, that the new Cree uses LED rather than inert gas which allows it to turn on instantly without flickering as well as operate at a 30 percent energy savings over the traditional method. The Cree T8 outputs 2100 lumens at 21 watts with a CRI (color rendering index) of 90. That's very good, even the best current generation of fluorescent bulbs top out around 10 points lower. What's more, the Cree's are rated to 50,000 hours of operation (just north of 17 years if run for 8 hours a day, 365 days a year) and are designed to fit into existing ballasts so, unlike other LED fluorescent replacements, you won't have to get up into the ceiling and rewire anything, just plug the LED tube in the same way the older fluorescents do. The new LEDs have a MRSP of $30 each.